Proctor's more than 135 academic courses, 30 sports and afternoon activities, 5 term-long off-campus programs, and more than 30 art electives give you the freedom to choose your own path through Proctor. Which path will you choose? Proctor is a global community of 370 students who study abroad in Spain, France, and Costa Rica, and travel annually to Guatemala for Summer Service trips. Each year, Proctor students spend meaningful time on four continents around the globe, bringing various cultures, traditions, and worldviews to back to campus to enrich all of our lives. On campus, Proctor's student body represents 25 states and provences and 15 countries around the world, comprising 14% of the overall student population. 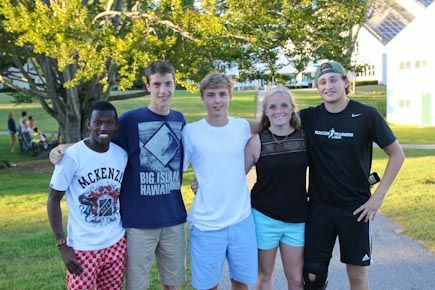 International students bring their own culture, traditions, and experiences to Proctor, deeply enriching the entire community. We are excited for you to learn more about Proctor! 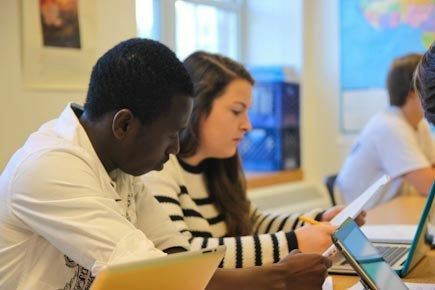 Proctor does not offer an ESL program for International Students, but does offer a limited number of spots in Learning Skills, an integrated academic support program, each year to international students. Learn more about Learning Skills and its offerings here! 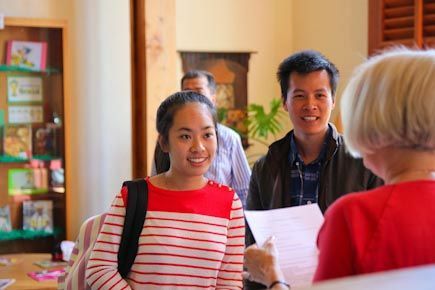 All new international students are invited to take part in Transitions Program, a five day program during which students are acquainted with Proctor, the local area, and other International Students. Proctor's Transitions Program includes a tour of campus, meeting with student advisors, and group experiences in the local area. The goal of Transitions is to provide an opportunity for every international student to ask questions, overcome jet lag, prepare for Wilderness Orientation, meet other new students and become comfortable navigating campus life prior to the official start of the school year. Proctor runs all aspects of Transitions for new international students. 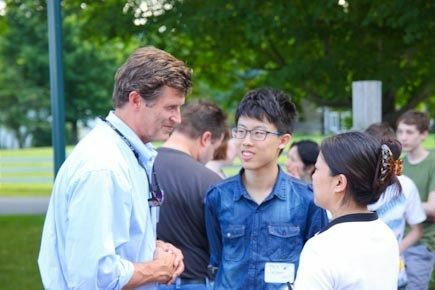 Proctor's International Student Coordinator provides supervision of International Students for long-weekends, but Proctor's campus is closed for all major vacations. Proctor's International Student Coordinator helps coordinate vacation plans to ensure all students have vacation options. Proctor's International Student Coordinator provides vacation coverage for the three closed weekends each year (Fall Family Weekend, Winter Bonus Weekend, and Spring Family Weekend). During these weekends faculty members spend time with students visiting area attractions, traveling to Boston for the day and relaxing. Each of these weekends provide an opportunity for students to rejuvenate and spend quality time with other students and Proctor faculty. Proctor's campus is closed for all major vacations (Thanksgiving Break, Winter Break, and Spring Break). Proctor's International Student Coordinator will work with families to help coordinate alternative vacation plans, however, ultimately it is the responsibility of each family to finalize these alternative vacation plans. A list of programs utilized in the past by Proctor is available on the Parent Resource Board and listed below for current families. Please contact Proctor's Admissions Office with questions. Proctor's International Student Coordinator helps organize all travel to and from Proctor's campus around vacation periods, including transportation pick-up and help organizing international student travel documentation.